From beneath a rock near Ngong Hills and Magadi Rd., Kenya. Dec. 2014. 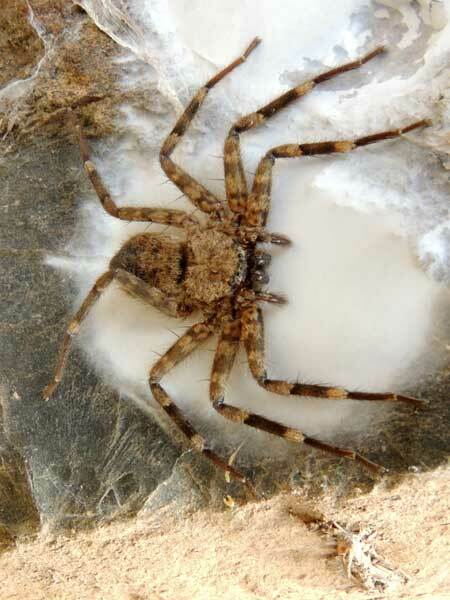 This spider is an adult female and is standing guard over her sac of eggs, which is secured to the underside of a rock. She will not hunt or feed until the young spiderlings emerge from the sac. Copyright Michael J. Plagens. Page created 14 Oct. 2015.